Why has it taken so long to make computers work for the museum sector? And why are museums still having some of the same conversations about digital technology that they began back in the late 1960s? Does there continue to be a basic ‘incompatibility’ between the practice of the museum and the functions of the computer that explains this disconnect? Drawing upon an impressive range of professional and theoretical sources, this book offers one of the first substantial histories of museum computing. Its ambitious narrative attempts to explain a series of essential tensions between curatorship and the digital realm. 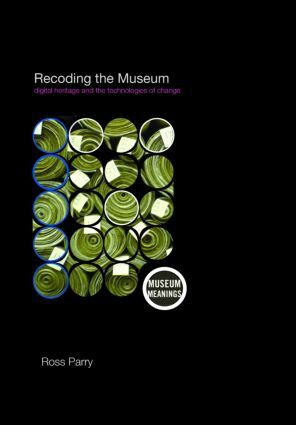 Ultimately, it reveals how through the emergence of standards, increased coordination, and celebration (rather than fearing) of the ‘virtual’, the sector has experienced a broadening of participation, a widening of creative horizons and, ultimately, has helped to define a new cultural role for museums. Having confronted and understood its past, what emerges is a museum transformed – rescripted, re calibrated, rewritten, reorganised.